Home>Uncategorised>When to Use Mini Skips Adelaide for Hire? Staging a home renovation is hard work. When you are in the middle of a home construction project, expect to accumulate a large pile of garbage during the process. Your once sublime home will be cluttered with old items, appliances, furniture, and rubble. Not only will your cluttered residential property look messy, it also potentially disrupts productivity during renovations. 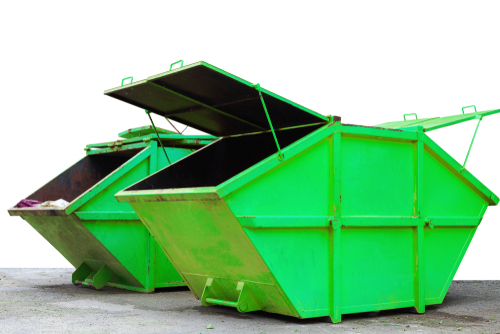 To avoid this problem you will need the services of a reputable mini skip bin hire company in Adelaide. Renting skip bins in Adelaide will make it easy and breezy to throw out old materials and rubble from your home renovation activities. An Adelaide mini bin company will be able to offer you skip bins in a wide range of sizes for short or long-term hire. It is easy to book a mini skip hire in Adelaide if you know which ones are reliable, efficient and affordable. If you’re planning to put up a flower garden, don’t be discouraged by the piles of waste that typically comes out of such an activity. You can have the dream landscaping or project at home with the help of a reliable waste management company in Adelaide. You can order a small sized skip bin ranging from 2m3, 3m3, and even 4m3 for major garden construction activities. An experienced bin hire company in South Australia can offer you bins dedicated for soil and outdoor rubbles. In most cases, it is during moving out of a house and transferring to a new one that you realise the great amount of clutter that you and your family may have accumulated over time. Instead of moving unwanted things to your new home, remove all clutter in between with the help of a mini skip hire company from Adelaide. Enjoy a fresh, clutter-free start in your new home by partnering with a trusted mini bin company only. As part of your community, our commitment is to help our clients to live clean, rubbish-free homes. If you wish to request a quote, kindly reach us on 08 8325 3033 today.